Beautiful black leather bracelet with steel clasp. 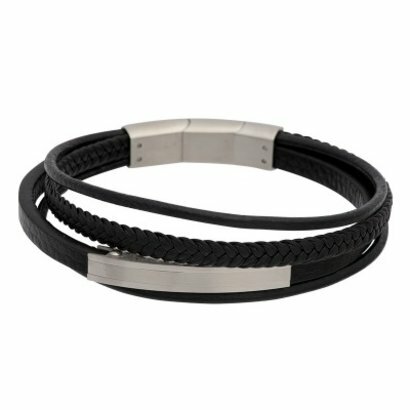 The bracelet is made of multiple types of black leather and is 20-21 cm. The IXXXI JEWELRY MEN COLLECTION IS Tough. IN THIS COLLECTION, INTERCHANGEABLE RINGS AND CHAINS ARE ALSO AVAILABLE.